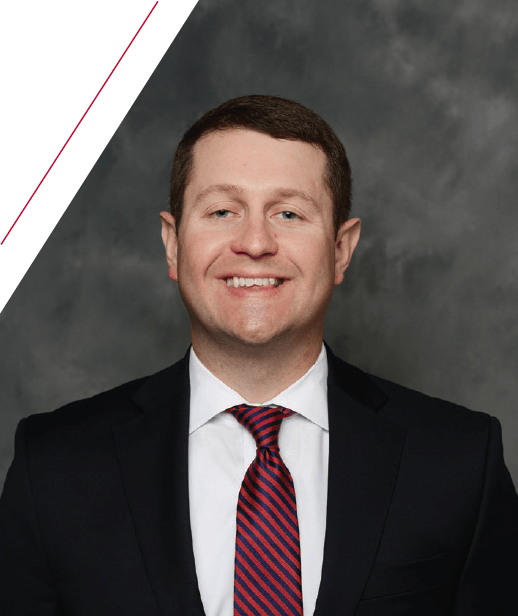 A native of West Nashville, TN, Russell Grimm has been with Belmont University as Director of Athletics Fundraising since November 2016, where he oversees all aspects of athletic fundraising including Bruin Club giving, scholarship endowment and facility projects. Grimm graduated from the University of Tennessee in 2007 with a B.S. in Journalism and Electronic Media. Following his time in Knoxville, he moved back home to Nashville to pursue his Masters of Sport Administration from Belmont, graduating from the University’s MSA Program in 2009. Grimm began his career in athletic development at the University of Michigan Athletic Department, working as Development Associate for the “Victors Club.” At Michigan, Grimm was part of fundraising team responsible for the $226 million capital campaign for renovation and expansion of Michigan Stadium. During his time in Ann Arbor, Grimm provided integral support with annual and major gift giving, premium seating and suite sales for the 3,000-seat, 81-suite expansion of Michigan Stadium, as well as assisting with the day-to-day development operations for the $30 million annual fund and its $20,000+ members. In 2011, Grimm transitioned from Ann Arbor to Boston, Massachusetts, accepting a position as Assistant Director of Development for the Boston College Athletic Department. As a team member with the “Flynn Fund,” Boston College’s 4,500-donor, $20 million annual fundraising organization, Grimm focused primarily on oversight of the Donor-Based Seating program, responsible for over $6 million in annual revenue. In his time on Chestnut Hill, Grimm was part of an athletics team responsible for a portion of Boston College’s university-wide $1.5 billion “Light the World” Capital Campaign. From there, Grimm accepted a position at Virginia Commonwealth University as Assistant Athletic Director for Development. In his role at VCU, Grimm was responsible for securing new and existing donors to the “Ram Athletic Fund,” a 3,500-donor, $4 million annual operation, for both annual and major gifts. His unit oversaw tremendous growth during his tenure, helping to increase total gifts to the Ram Athletic Fund by 43% including record breaking fundraising numbers in three consecutive years. In his time at VCU, Grimm was successful in securing over 50 major gifts for both capital projects and athletic scholarship endowments, while advancing the University’s “Make Giving Real” Capital Campaign. Grimm and his wife, Erin, reside in Franklin with their dogs, Jackson and Franklin.